PRL Panic Devices have again proven stronger than ever! PRL Panic Devices proven Stronger than ever! Don’t Panic!! !… PRL has your Panic Device! 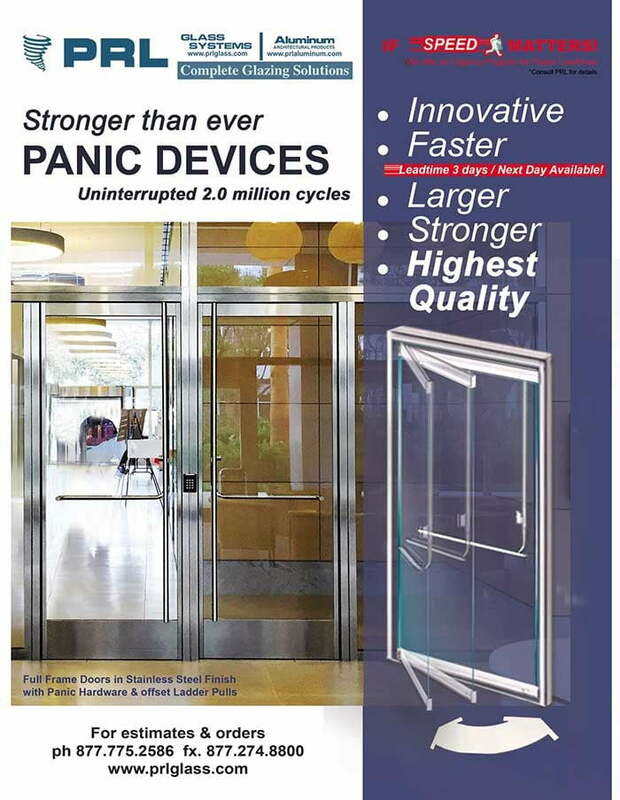 Our Tubular Panic Devices and Hardware has proven STRONGER than ever. PRL has successfully completed over 2.0 million uninterrupted cycles of operation with our PL100 Tubular Panic. Because it is our constant goal to manufacture and provide our customers with the safest and highest quality egress hardware, we continue to test and push our products to their maximum capacity. In addition to our elegant Tubular Panic line we manufacture and supply Tubular Deadbolt Handles (for locking at head and/or floor), Easy Locking Ladder Pulls (for locking at head or floor), EZ Touch Egress Handles that unlock simply by touching the tubular handle and specialty companion hardware such as electric strikes and electromagnetic locks. Please visit our web site www.prlglass.com for more information or contact our office for additional assistance @ 877-775-2586.